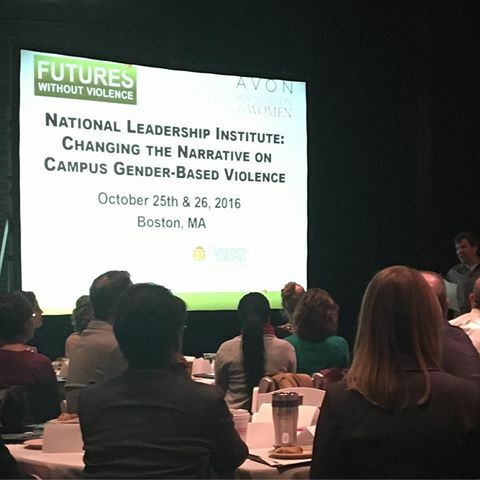 In partnership with the Avon Foundation for Women, we launched the National Leadership Institute: Changing the Narrative on Campus Gender-Based Violence with 20 colleges and universities around the country in 2016. 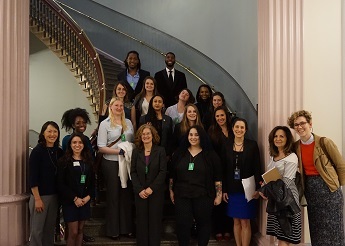 Developed in collaboration with Harvard Law School’s Gender Violence Program and the University of Virginia’s Curry School of Education, the Institute is a two-day, action-oriented leadership program created to help colleges and universities prevent and respond to gender-based violence and sexual assault. The first National Leadership Institutes were held in late 2016 in Boston, MA and Atlanta, GA. Each participating college and university attended the Institute with a multi-disciplinary team of representatives, including administrators, campus security, service providers, faculty, advocates, Title IX personnel, and student leaders. During the Institute, participants learned and shared best practices on how to respond, using a trauma-informed lens, when an assault occurs. Additionally, each school created a sexual assault prevention and response action plan to implement back on their campuses. FUTURES is supporting the implementation of these plans through training and technical assistance. Given the overwhelming response from colleges and universities asking to attend the Institute, we are expanding the program in 2017 and are proud to form a growing learning community committed to ending gender-based violence on school campuses.